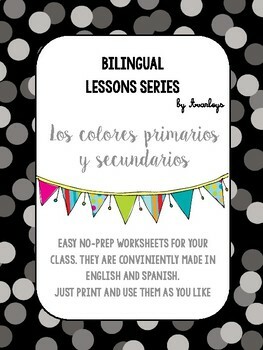 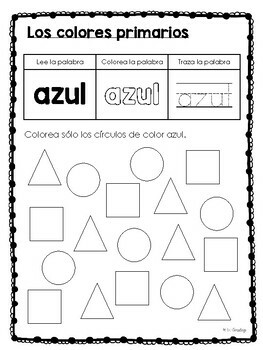 Easy, no-prep worksheets about primary and secondary colors conveniently made in English and Spanish. 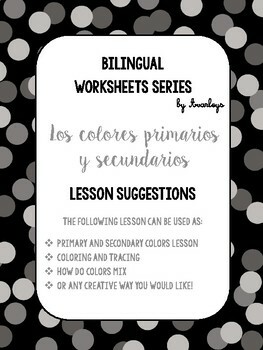 It includes a lesson outline, 6 worksheets to learn each color, 1 worksheet for color mixing, and 1 worksheet to do a color wheel. 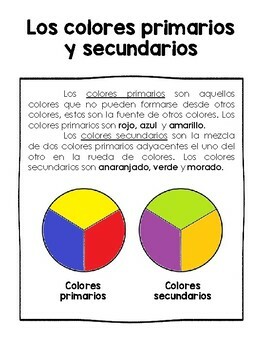 Thank you for your amazing support and feedback!